Managerial accounting degrees are available at all levels and offer coursework such as management theory, finance, accounting, business law and statistics. 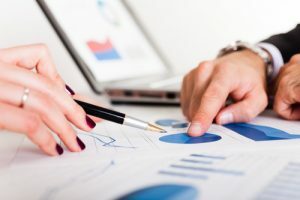 Students in this field will learn to use accounting techniques to perform complex management functions such as creating budgets, managing costs and measuring asset and personnel performance. The field of accounting may consist of many different areas and responsibilities for the professionals involved. Managerial accounting is a widely sought after field that includes some planning and development concepts for those that are involved in it. There are different areas of managerial accounting that are popular with upcoming professionals, one of which deals in the planning and directing of a company’s finances. This career field may require more management techniques and responsibility than standard accounting positions, so further education in management and finance may be required during degree programs. In comparison to financial accounting, managerial accounting deals more in the direct analysis and planning of cost areas of a business’s finances. These professionals may be responsible for obtaining specific cost-related data and implementing it into an organization’s balance sheets. This type of planning can be beneficial when estimating the cost of production for different products and services as well as planning for maximum profit from year to year. This more in-depth field of accounting is great for individuals that have a knack for planning and a desire to lead others within their field. If you are interested in the field of accounting, but want to do more with your talents, managerial accounting is a great degree program to consider. This program can provide you with a diverse skill set that can help you provide valuable representation for companies in many different markets. The skills and applications that you can learn throughout these degree programs can possibly help you obtain jobs for large organizations or corporations that desire your expertise. Our team of educational experts has over a decade of experience in researching educational programs and their outcomes. Read more in their guide below to learn more about the degree programs and careers available within this field. What Can I Potentially Earn as a Managerial Accountant? Earnings are at the top of the list of most important things for students to consider when choosing a degree program. Although you know that a fruitful career should be something you love to do, money also plays a role in how satisfied you are with your current job. The salary that you earn as a managerial accountant can be dependent on many different things, including whether or not you have worked in the field for long, the business that you choose to work for, and what you do daily in your everyday work. In addition to these factors, your location and the demand for accountants can also play a role in how much you earn while working in this field. Some areas of the United States have a larger market for accountants within this specialty. In these areas, professionals may have the opportunity to earn more and have open doors in more diverse settings. In an effort to make your journey as easy as possible, our team of experts has provided some up to date salary estimations below this section for you to review. Each of these salaries has been reviewed and studied by the Bureau of Labor Statistics for accuracy. Budget Analyst: $73,840 on average per year (BLS). Budget Analyst – Federal Government: $78,750 on average per year (BLS). Budget Analyst – Educational Services: $64,890 on average per year (BLS). Entering into a popular degree program can have benefits for students that are looking forward to a comfortable career in their future. Considering how relevant your degree is in society can often provide you with more confidence as you move closer to obtaining your career. In terms of relevance, managerial accounting is extremely important to businesses all over the world. These professionals can provide important insight into the financial direction of a company, help create useful and valid budgeting, and recommend changes for yearly progress. After a thorough review of this field, our team of educational experts has determined that the expected growth for professionals is right on track with others in its domain. The Bureau of Labor Statistics estimates that this field should see a 7% growth over the next decade, making it a stable place to settle into a career (BLS). Your decision to take part in a degree program for managerial accounting could possible lead you to profitable career options in diverse settings all over the country. Throughout the remainder of this guide, you can learn more about the different degree programs available and what types of careers you can obtain by taking part in them. Students that have not yet obtained a college degree may be best suited for the bachelor’s level program in managerial accounting. It is at this level that students can learn the basics of accounting, as well as the fundamentals of business practices from an entry level perspective. Most bachelor’s program involve a delve into general education components, which take up about 2 of the 4 years of the program. During this portion, students can complete their general education components prior to diving into accounting courses. In the second half of this program, students generally become more focused on the different levels of accounting, as well as other business related courses such as Business Law, Accounting I & II, and Business Finance. More information on the bachelor’s program is listed below. Master’s level students in managerial accounting may receive more in-depth knowledge into the field of corporate/managerial accounting. Since most introductory courses in accounting are covered at the bachelor’s level, most master’s programs require that students have an educational background in accounting or business before becoming enrolled. During this program, students can learn more about the different types of accounting, financial record analyses, and program planning that is common within this line of work. Courses for this program may include Cost Accounting, Risk Analysis, and Corporate Financial Planning. Specific degree information for this program is listed beneath this section. This class can teach students more about the skills required to conduct an effective financial statement analysis. The topics that may be covered in this course can include ratio analysis, cash flow statement analysis and understanding, prediction, and firm valuation. Each of these topics can contribute to how well student comprehend the data received through statement analyses. This course may be taken several times throughout the duration of a degree program (I,II, and III). The purpose of this course is to evaluate a student’s understanding of planning and decision making at the corporate level. Different models covered in this course may include those focusing on economics, business, and decision-making. Taxation is an important topic for upcoming managerial accountants to consider. Throughout this course, students can learn about tax planning, economics, and how financial planning can play a role in yearly taxation. Different tax filing methods may be discussed, as well as the laws and ethics surrounding them. What are the Advantages of Online Degree Programs in Managerial Accounting? As with any online degree program, the online degree programs available for managerial accounting can bring convenience and control over planning to those that are enrolled. In comparison to traditional programs, these online degree programs are a great way to combine the responsibilities of work, home, and education without having to sacrifice time from any of the 3. During online degree programs, students are given the option to attend class and finish assignments on their own time. Some online programs involve online lectures or class participation assignments that require attendance, but most are asynchronous in nature. If you are interested in considering an option that was created for hard working professionals, online degree programs in managerial accounting may be the best option for you. Over the years, online degree programs have faced scrutiny due to their movement away from the norm. Most people found online programs hard to consider trustworthy, while some employers refused to accept them altogether. In recent years, however, online degree programs have qualified for accreditation, provided reliable results, and have become one of the most trusted methods for obtaining a higher level education. Programs in various specialties graduate large number of students each year. Altogether, online degree programs are reliable and convenient methods for obtaining your degree in managerial accounting. The thorough and intensive study that is required by online managerial accounting programs can help you learn more about what is required of professionals in this field and provide you with the skills necessary to make a difference for organizations that seek your services. Using this method, you can possibly find more knowledge within your field and pursue higher level career opportunities after graduation. Becoming a managerial accountant does not mean that you have one set career option available to you after graduation. This field includes many different career opportunities that can help you advance to your full potential. Depending on what interests you as a professional, you may be better suited for specialty fields or those that deal specifically with one area of business finance. There are many areas that require the involvement of experienced and educated accounting professionals. Some of the most popular fields for upcoming managerial accountants involve the direct financial planning of an organization. Some career options allow professionals to play a role in finding affordable products to use in manufacturing, matching prices for services provided, and anticipating consumption for services or products during yearly planning. Each of these responsibilities can lead to the successful operation of an organization, making this career field extremely important for organizations that are interested in growth and opportunity. Read more about the different careers available to you with a degree in managerial finance below. The responsibilities of managerial accountants can go well beyond the standard financial operations of financial accountants. Individuals within this field may be responsible for analyzing the financial statements of an organization in order to help make important decisions regarding the spending and budgeting within their company. In order for a business to run effectively, finances must be handled and maintained in a way that promotes success. Spending and income are important factors that require intense planning, so that a company can receive the result it desires. As you can see in the section below, the job duties of managerial accountants can be very influential on the operations of the organization. As a professional in this field, you can play a role in the direct planning and implementing of financial plans, making you an incredible asset to your company. Investigating the costs of products and aligning spending goals with these figures can result in profit for an organization. Managerial accountants can help to determine how these costs affect planning, which can lead to more preferable results for their company. Read more about the job responsibilities for this field below. These duties can help to encourage growth within an organization as well as provide insight into planning for upcoming years. Professionals that are tasked with these duties often engage in thorough review of current costs, budgeting based on these costs, and product pricing that is relevant to making a profit. Managerial accountants that work in the management and direction of accountants can use this information to direct their team towards planning that is suitable for future growth in accordance to the current market. These professionals may also be part of a larger business team that considers the financial plan when making changes for a more productive future.